Our latest installation is an example of various systems being integrated to work in perfect synchrony. After getting in contact with us here at Tokyo TV, the client explained that they wanted a full system that would give them great visuals and great audio. We created some media room renders using CAD design software and liaised with the client on how to optimise everything. With the house being pre-wired for networking infrastructure we recommended the installation of an AV and Networking rack. This would allow all the kit to live in one convenient place, with adequate ventilation and maintenance access. The clients networking and AV equipment when we arrived. After stripping out the old kit and taking stock of the pre-existing cables, we installed a pull out data rack, which allows us to keep all of the equipment organised and makes maintaining the system a lot easier! The IP controlled PDU and managed network system allows us to access and control the system remotely, for trouble shooting and maintenance purposes. Our Network and AV Rack. The first stage of the media room installation involved removing the previous speaker system, blocking up a window and installing the new speakers. We used Monitor Audio in wall speakers for the Right, Centre and Left channels, and In ceiling speakers for the surrounds. During the second installation day we mounted the television into the recess, and the projector and screen onto the ceiling, what a difference it’s made to the room! Both the television and the projection system are controlled by Control4. Meaning its quick and easy to switch between each system and to access all of the video and audio sources that are available. We also fitted televisions in both the gym and kitchen that can display SkyQ. 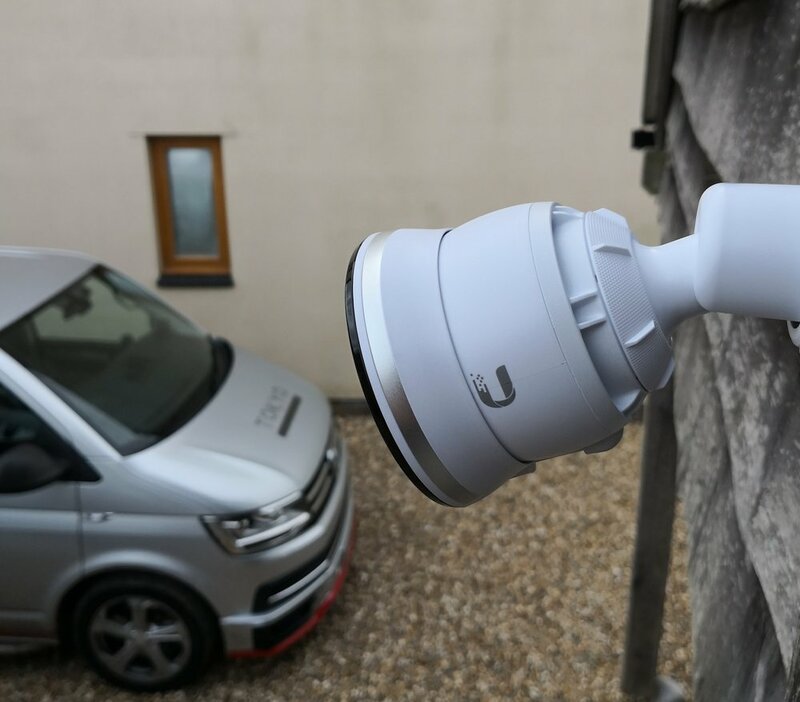 The final stage of our installation was installing a camera system at the property. The system we chose can be accessed via an app, and a live feed can be viewed on the projector or the television in the media room, making it quick and convenient to view the cameras. Finished. A great looking installation and a happy client.